Baptism of fire audiobook is the third installment in the Witcher series written by Andrzej Sapowski. The Polish writer did an amazing job by creating this masterpiece, and it was made even more immersive by the audio narration from Peter Kenny. Here is a short review of the audiobook. Baptism of fire audiobook free starts with an injured Geralt. He sustained injuries as a result of the uproar during a coup. Although Geralt himself is a rescuer and protector, he has himself sustained injuries, which have rendered him helpless. Dark times are upon everyone, and Geralt knows he has to find Ciri to save the World, who has been on the run with whereabouts unknown. Geralt does here a rumor that Ciri might be in Nilfgaard court, being forced to marry an emperor from the north. It is now up to Geralt to recover himself and rescue Ciri before it is too late. Amidst all this, Yennefer is missing as well. 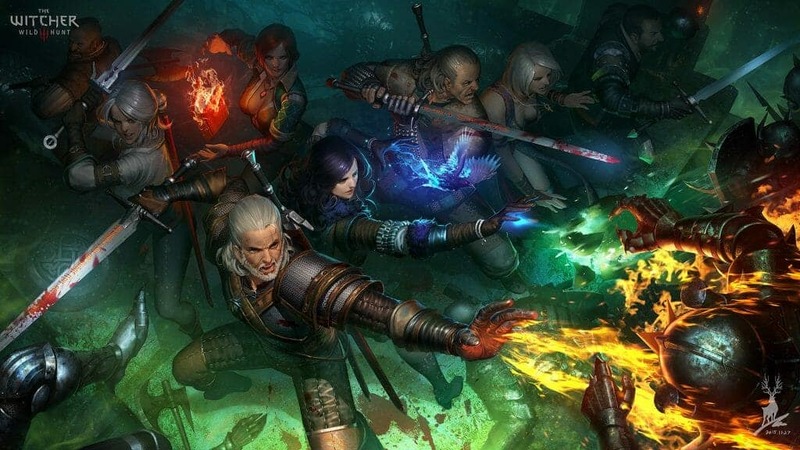 The book mainly revolves around Geralt trying to find Ciri, but all the other events taking place simultaneously, makes the plot all the more captivating. During his journey of finding Ciri, Geralt comes across a group of dwarves and starts traveling with them. They help each other out in many situations. They also come across the “black rider” whose life Geralt spares. The group also crosses paths with Regis, who is a monster. Despite being a monster hunter, Geralt becomes friends with Regis, and they continue the search for Ciri together. The war is ensuing everywhere, and it is not long before Geralt, and his group finds themselves amidst war and many battles. Their comradery keeps them surviving and winning. Regis proves to be a great help due to his medical skills as well. The war brings the whole group very close despite the fact that they did not like each other much in the beginning. Even with all that is going on, the group stays determined to find Ciri and keep pushing forward through the war. Ciri, on the other hand, has become part of “the rats” and has been going around using the name Falka to hide her true identity. Because of everything that has been happening in the war, the audiences would find this book to be very fast paced. Nevertheless, the good thing is that most of the book has been focused on Geralt’s efforts and journey of finding Ciri. He has been a sole player, but for this mission, he even seeks the help of others and forms a brotherhood. The book is sometimes confusing as to who is fighting who, but that is bound to happen when there are so many parties involved. Amidst all this, the point to take away is that comradery beats everything and Geralt and his group emerge successful in their quest. The character development has been wonderful, just like all the other installments in the Witcher series. I particularly loved the development and progression of relationships in this book. Peter Kenny, who is an award-winning narrator from England, did a fantastic job on this book. His delivery was so sublime and captivating that it would keep you hooked. 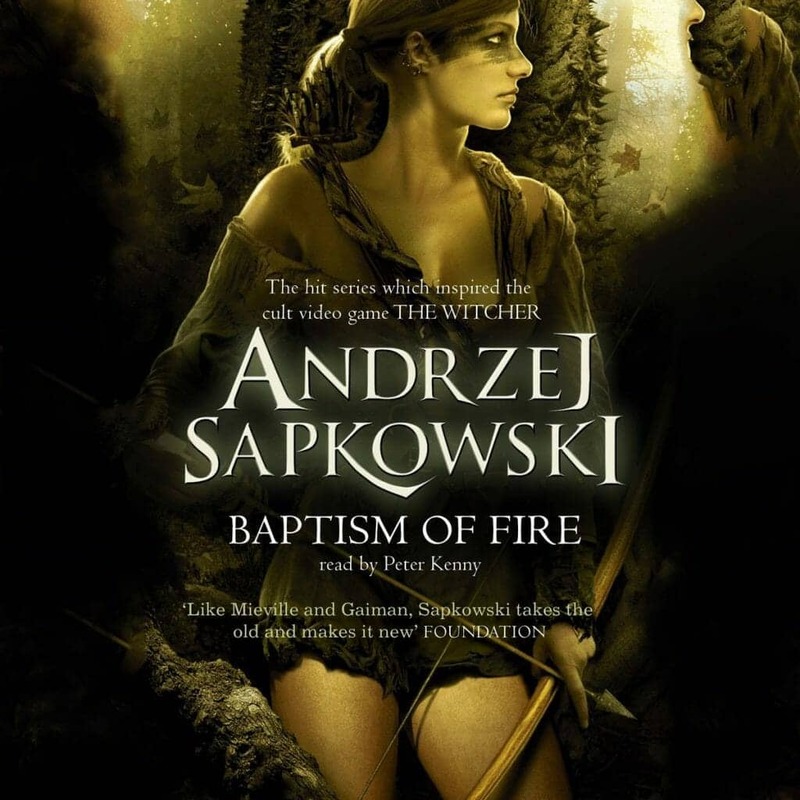 Baptism of fire audiobook Mp3 is written by Polish writer Andrzej Sapkowski. He did such an amazing job in this series that it was made into a movie, an audiobook, a video game, and translated into two dozen languages. The book also stayed number 1 for 2 months when it was first released.